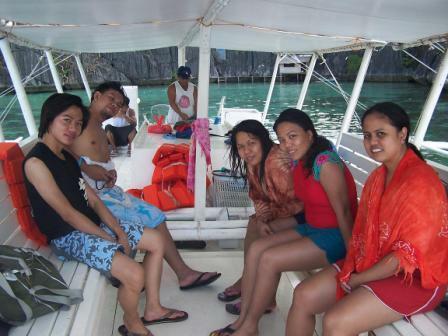 "We did enjoy our stay at Gran Vista and Castaway and loved Coron . 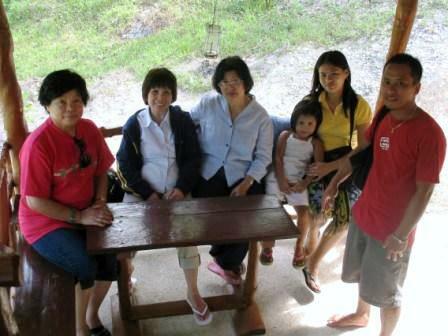 Hopefully can go back next year with our family too :) Mam Gi was always there to assist us in our needs. Thank you din po sa nyo at kahit nasa malayong lugar pala kayo e naicoordinate nyo kami . Thank you po ulet ng madami!" "Hi Ted, Just got back from Coron. Thank you so much for accommodating us at your place. We really had a wonderful time!" "A "come what may" trip it was, with job at stake, 3 people canceling in a sudden, with budget affected at such circumstances, 2 of us stranded for a day, and inevitable weather conditions. In the end, we extremely had a great time and we crave for more, having high hopes of getting back to the island. After climbing 750 steps of Mt Tapyas, Makinit Hot spring was our total refuge and comfort. 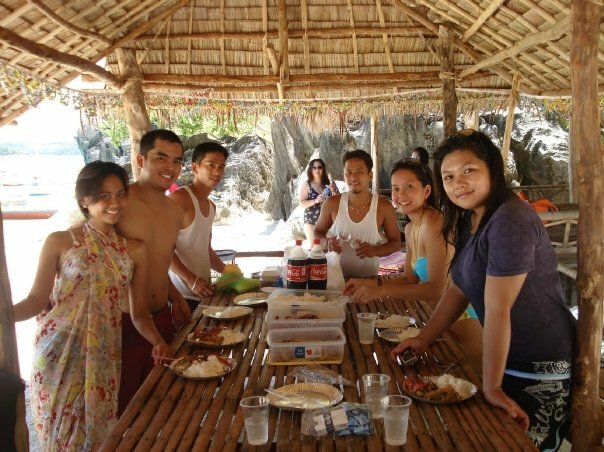 The next day was a stay in Coron Castaway where we enjoyed consecutive meals of mouth-watering buko, fresh fish, squid and crabs.And we had a great deal of paddling our small boat plus a cool bath in a nearby falls. 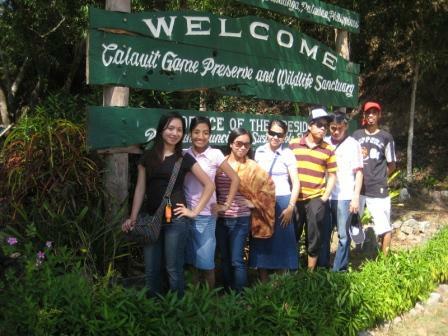 And I'll be back to see Calauit Safari, Culion's former Leper's Colony and Malcapuya Island pretty soon...!" "We are really grateful to Ate Gigi and Kuya Ted for arranging our itinerary and accommodation in Coron. We still had a wonderful time in Coron despite the storm. Grand Vista is a great place for rest and relaxation. We really appreciated the place! Quiet and private. Sayang, we’re not able to stay at Cast Away. We look forward to returning when there is not so much rain!" "Sorry it took a long time to send you our thanks. We enjoyed your place a lot !
" 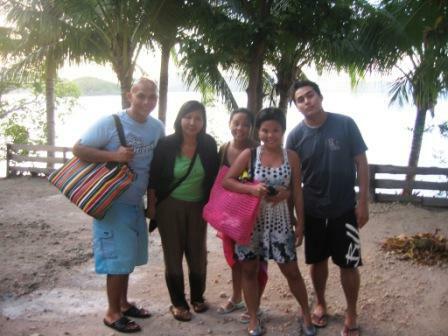 We had a great time in Coron per itineraries you gave us. The family and friends enjoyed the beautiful place and the cool waters, and wanted to go back some other time. Lord willing, we will try to arrange a visit to Coron again. Gigi and her people were hospitable and accommodating. We enjoyed the generous and delicious dinners that Gigi prepared for us in Grand Vista. We went to Castaway, such a refreshing place you have. 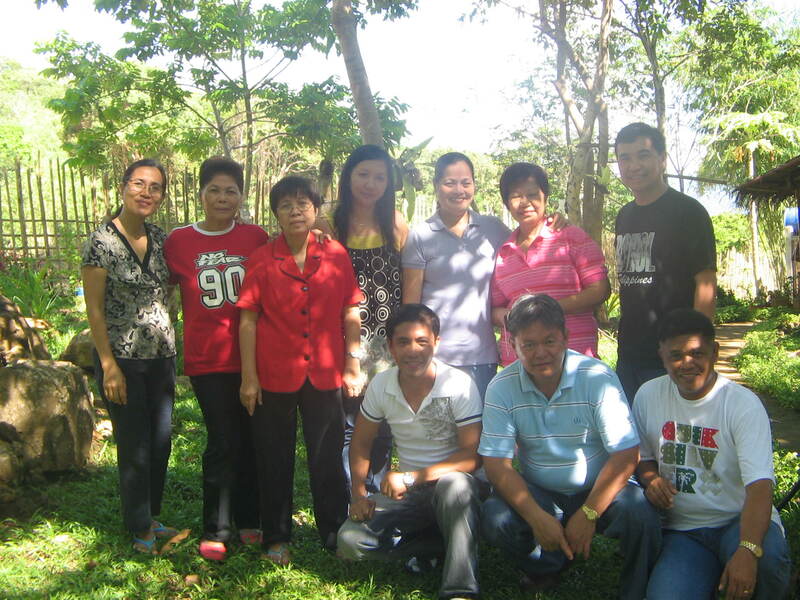 Thanks for all the efforts and for facilitating so we could have an enjoyable vacation in Coron. God bless!" "Having been to Puerto Princesa we thought Coron would offer the same thing but, it was a totally different experience. The warm hospitality plus the picture perfect sceneries made our Coron experience different from the rest. We were so adamant to go and visit the beaches and sceneries..and boy, it was all worth it!! Mt. Tapyas at sunset was exhilarating; having witnessed that vivid sunset was more than enough to satisfy our aching bodies. Makinit hot spring was the perfect antidote to the 1000++ steps we had to endure in climbing Mt. Tapyas . Banol, Twin Lagoon and Kayangan Lake were so picture perfect; we had the time of our lives having our pictures taken by our good natured guides Mang Jo, Mang Dodoy, Nino and Bobby who became our instant photographers. A night in Castaway was a treat by itself, the fresh seafood which was prepared by beth for our dinner were so delicious. Our first hand experience to stay in an island, even for a night is so memorable and mind you, it has been such a long time since we have used and seen a lowly kulambo. he!he!he! The tour de force of our trip were the Malcapuya and Banana Island island hoppings; it’s as if you are just waddling in a pool and the milky shores can match Boracay anytime minus the hullabaloo which was what we guys really preferred. Urbaners like us were not at all bothered by the “barriotic” life so to speak and in spite of the limited access to electricity both in Gran Vista and Castaway; we managed to have fun. Hopefully when we come back and experience Coron for the second time there is the a 24 hour electricity to fully satisfy us…discounted na rin sana ang rates…he!he!he!!" "We had a great time staying in your island. We have seen lots of places already but CORON ISLAND is the most spectacular. It has eyewatering sand beaches and the best place to relax and unwind. The kubos and picnic areas are lovely and we had the whole place to ourselves. We really really love the ambiance. ms. Gigi is very accomodating and took care of us very well... thank you very much!!" " yeah, i swear ted I'll go back.. thanks to you ted, as in, thanks a lot! pix for gran vista & castaway are posted too as travel tip", Karen. "Thanks very much for the very warm hospitality and accomodation! Castaway and Gran Vista are simple yet very conducive places to stay. 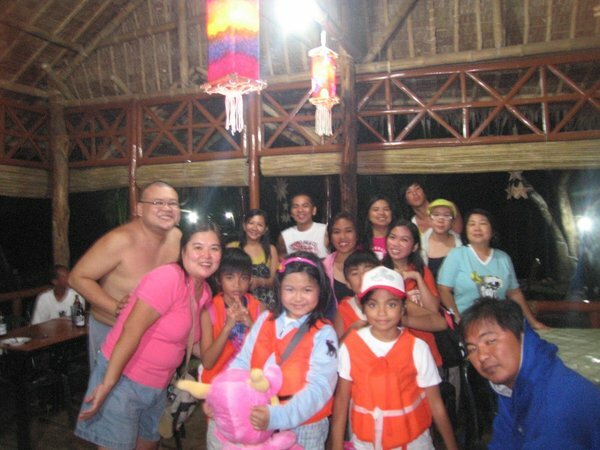 We really enjoyed everything from the 3-day boat ride to our trip to Calauit. 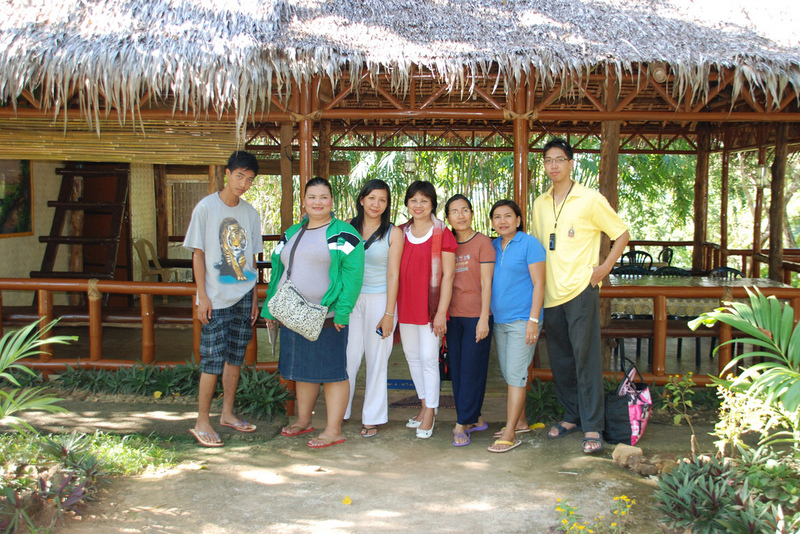 The people who accommodated us were friendly, informative and assisted us in every thing we did. Regards to Enok, ate Beth, Manong Jonathan, Manong Jobert and Kuya Edmond. Overall, our Coron & Busuanga trip was very memorable. Malcapuya, Banana Island, Calumbuyan, Siete Pecados, and Sangat are must-see places. Despite the unpredictable weather we were able to take great photos. We will be sharing our photos soon. " 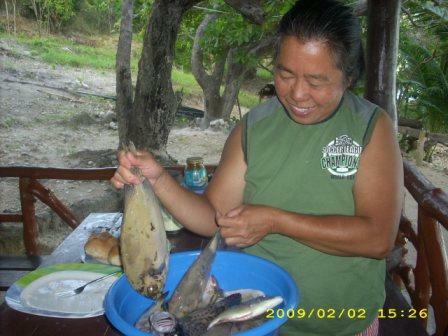 "Gran Vista, on a 3 hectare land with 3 kubos, a big picnic area, overlooking Coron bay is very peaceful. The kubos and picnic areas are lovely and we had the whole place to ourselves. We loved the ambiance. The generator runs only in the evenings, no aircon, but these were hard to notice since we were out all over Coron and Busuanga Islands the whole day, and the place was well shaded with trees and bamboos. Gran Vista is a family business owned and ran by Ms. Gigi. Mg Edmond, Ms. Gigi’s older brother picked us up at the airport and told us our first lessons about Coron. Ms. Gigi and family are the nicest people and host we’ve ever met. They treated us like family. Their smiles are genuine. And they made our stay at Coron very organized and stress free. Ms. Gigi arranged everything! From the round trip transport, cooked our meals herself, arranged our banca and trike, to shopping our pasalubongs! We were well taken cared of. Mark (nephew) ensured that our tricycle rides were comfortable and safe. He ensured that all the food were packed and helped us with our heavy bags. Nino and Bobby (nephews and our guides) ensured that our boat tours were fun, safe and stress free. They stayed and swam with the kids to ensure their safety. 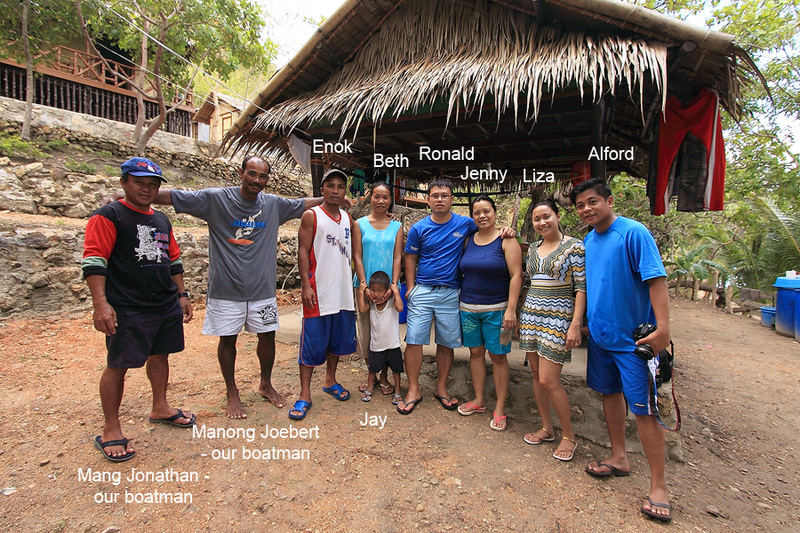 Mang Jo and Mang Junior (boatmen) ensured that we got the best of every island and spot we visited. Not once, making us apura to go to the next destination, but was very patient and fun to be with. Our lunches were served hot and tasty! We didn’t have to think of anything at all except our poses during photo ops. We enjoyed our conversations with Ms. Gigi and her family. They would stay late after dinner and would talk to us about our day, let us know what is in store the next day, listen to our requests, and laugh about our funny experiences. During the day, we enjoyed Mang Jo and Mang Junior’s stories about Coron and their experiences. From the biggest fishes they’ve caught, to the lives they saved, to stories about mermaids and mermans, and shipwrecks and pearl farms…!" "Finally, 1st day is over and we headed to our accomodation in Gran Vista... noticeable with lights hanging on trees...and the ambiance, the nature that surrounds us is very wow! Ate Gigi, the owner was patiently waiting for us. The food is really yummy: grilled pusit, fish sinigang, grilled fish and crab. Our starving stomach is now filled with plenty of delicous food. And our dessert, my much awaited birthday chocolate cake baked by ate gigi. Our accom. the nipa hut with 4 beds and with like an attic enough for all of us… what i really like about is the bonggacious mosquito net in one bed…really enticing to take our rest. so we said gudnite. Second night was at castaway. jus a few minutes from coron town by boat. really cast away because the place is ours only…with the help of caretaker. Around past 9pm, lights off. many stars scattered which makes our night bright. and because we're all exhausted we sleep early zzzzz…. Visiting Calawit Safari, Makinit hot spring, CYC, skeleton wreck, Barracuda Lake, Banol beach, Twin Lagoon, Kayangan lake, 7 pecados, Malcapuya, Banana island and Mt Tapyas in 3 days was really a wonderful experience…As of now still have a hangover of coron and I really missed coron…we want to go back…i am so much thankful to GOD for letting us see how beautiful His creation, for taking care of us and for everything and also for letting me know kuya ted….the man behind our succesful, wondeful, affordable, awesome experience in palawan…and also to ate gigi for personally taking good care of us, and to our guide, who also become our photogrpaher, who assist us in our island hopping!" Coron Castaway :Your OWN island without the catchphrase ‘a home away from home’. As Mark said, why the hell are you going to look for the comforts of home when you get that everyday? Waking up in Coron was like no other because of the amazing view from our cottage in Gran Vista. We were suppose to hurry but I took all the time in the world staring out at the horizon. It's as if I did not wake up at all and I was still in a dream. And the breakfast Ms. Gigi served did not help to speed things up. Good food must be enjoyed slowly. I don't even eat breakfast but I got hooked on the first bite. It was such a great morning! " I highly recommend this place for those who don't have hangups but just want to enjoy their stay in Coron and meet wonderful people. The van was already waiting for us when we arrived at the airport... not just an ordinary van but new and very clean. The driver even waited for us to get a picture of the "Hacienda-like" view. As soon as we arrived Gran Vista, we just dropped off our belongings and straight to island hopping. Gigi had prepared a sumptuous lunch. Like everything was set into place. My friends have known me for having an organized itinerary and Gigi & Ted made it very easy for me. It's like having a virtual voice-modulated organizer in their personae. We just said it and they arranged it in the most affordable and convenient way. Even our boatmen Mang Jo & Mang Jun were very nice and funny. They just let us enjoy our activities and didnt pressure us of the time (unlike what other boatmen treated their guests). Take note: they have one of the fastest boat in the area (the engine is not so noisy and irritating). 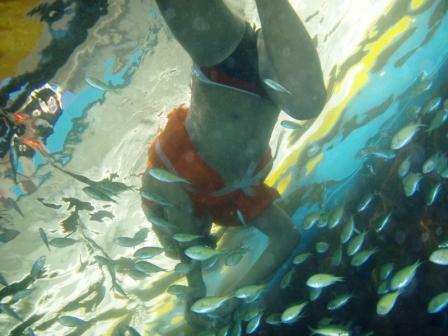 They did extra things for us including retrieving my fins which I left the day before in Kayangan Lake. Also, our tourguides Niño, Bobby, Mark & Kuya Edmund (Gigi's brother) were very accommodating. Niño assisted us when haggling for entrance fees upto the extent of kissing and hugging the owner (just kidding!). Mark, our jeepcycle driver did not overcharge us. Other drivers treated us like taxis charging per hour (including waiting time, etc) which we experienced when Mark was attending to another passenger. Good thing he found us after we waited almost 1 hour at Coron town's ATM which never got online (too bad for us). Mark could be nicer if he offered us his box of coins, kept in his jeepcycle. Hehehe! But Gigi is such a very nice person she assured us not to worry and just send when we get back to Manila (I bet other accommodation/resort owners wont trust their guests as much). We took the van to Calauit since some boat tours were cancelled because of rough seas. When we reached the bridge 15 minutes from the port crossing to Calauit, the bridge was removed to be fixed latter that day. 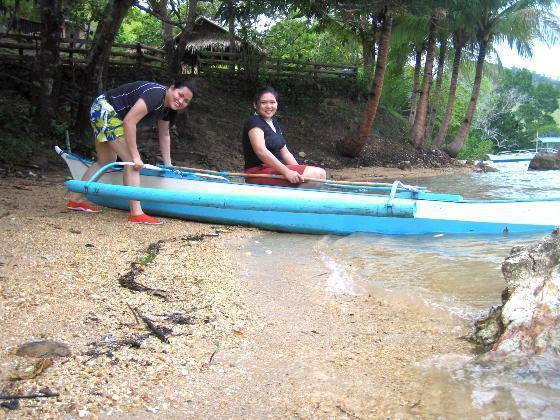 Kuya looked for a boat owner near that place who could bring us to Calauit. He haggled for us and we were able to enjoy our safari treat! We met a lot of wonderful peope. When you go to Siete Pecados, look for James Bond. He's always there going around the place making sure that all the fishes are secured :) In Calauit, don't forget to ask for senior citizen's discount (ofcourse, you wont get it unless you're 60years old, but ask anyway). Mang Robin, the tourguide in Calauit is also a nice person even the giraffs won't stop following him. "Firstly sorry that this is so late, I’ve just moved from S. Korea to S. Africa... And then a huge huge big thank you for letting me stay in Gran Vista. I was really surprised at how beautiful and well made it was!! It was simply perfect!!! Gigi thank you so much for looking after me, organizing transport and the island hopping tour! I wished I could stay a few more days!! In my 10 days of travel in Palawan no one treated me better than you!! May Gran Vista overflow with guests who will sing it’s praises!!" "We really enjoyed our stay in Castaway. Enok (caretaker) asked me if I wanted to go fishing with him but I declined as I was tired and he fishes at night. If I had known ....... I would have gone with him. Next time for sure. We had baked fish, fried fish, Escabeche, Sinigang, and More. Tilapia, red snapper, Tulingan, and of course Lapu-lapu. Also the garlic buttered prawns were awesome! We sent Enok over to the crabber with 300 p and the five of us ate crabs for two days! Beth (Enok's wife) is an excellent cook. Enok and Beth looked after us very well, and are very nice. Hope these pics will help!" 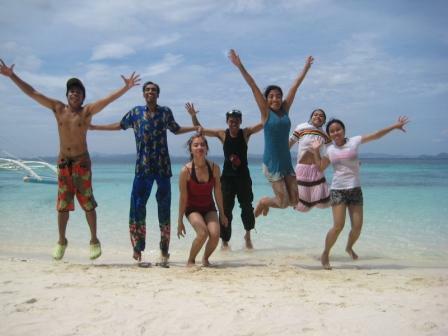 "my family and i just want to thank you for our trip package in coron. our 2 night 3 day caper was great. please also thank gigi for everything!" "Wonderful time! Looking forward to going back again!" "We had a wonderful dinner at Grand Vista with Gigi's delicious food and her being a very good host. All in all the trip was what we expected and more: awesome snorkeling in Calamianes archipelago, interesting Safari and camping in Calauit and in Castaway Coron area with the Calamianes archipelago proved the best destinations for us with good weather, calm seas and impressive variety and color of corals and marine life !" "WE HAD SOO MUCH FUN!!! Bitin as always. so hospitable so nice to all of us. 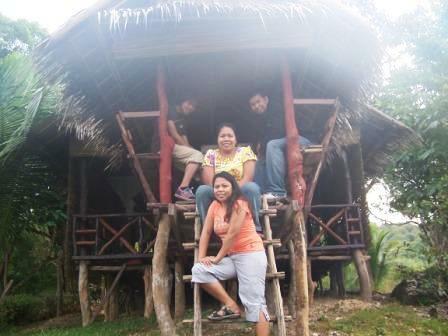 We were so pampered nga eh.!"